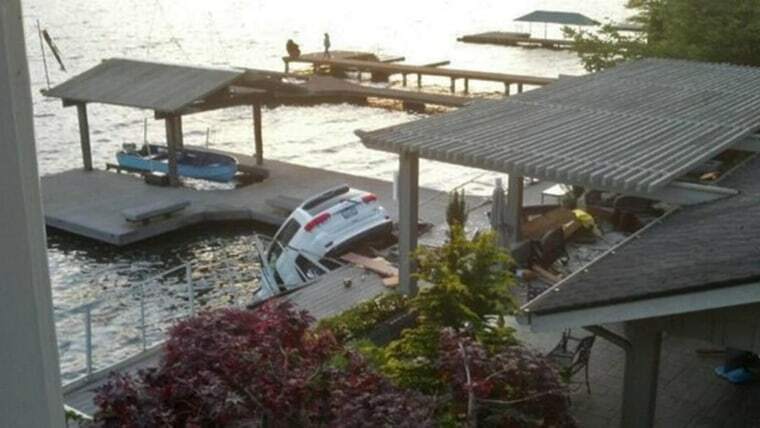 A second person has died after a 68-year-old woman drove a sport-utility vehicle through a waterfront home and into a Washington state lake, authorities said Monday. The woman’s 70-year-old partner was killed and her daughter and son-in-law were injured in the accident Friday night in the lakefront town of Sammamish. The 40-year-old son-in-law has since died, King County Sheriff's Sgt. DB Gates told NBC station KING of Seattle. Her 34-year-old daughter, who also was critically injured, remained in a hospital Monday. The couple's 3-year-old son was in the SUV with the driver, identified as Carol Sue Fedigan, 68, his grandmother. Neither was injured, even though the vehicle ended up partly submerged in Lake Sammamish, authorities said. Fedigan was booked into the King County Jail early Saturday on suspicion of one count of involuntary vehicular homicide and two counts of involuntary vehicular assault — charges that are likely to change in light of the second death. She was conditionally released pending a full investigation, court records show. Investigators said they suspected the woman might have been impaired by alcohol or drugs, but toxicology tests could take more than two weeks to return.